Researchers create PDX mouse models by implanting tumour fragments from cancer patients into mice with suppressed immune function. These models give researchers an idea of how a specific patient would react to a specific drug. As the use of PDX models increases, so does the need to for a central repository for these models. PDX Finder joins together many of these individual efforts, as it builds on The Jackson Laboratory’s PDX resource which was developed in partnership with more than 20 medical centres in the United States, and EMBL-EBI’s membership of EurOPDX. This ensures that the scope and reach of PDX Finder is wider than any other individual resource available. The initial release of PDX Finder contains over 1900 models from multiple repositories. The models spancancers of the digestive system, respiratory tract, skin, breast, urinary system and more. 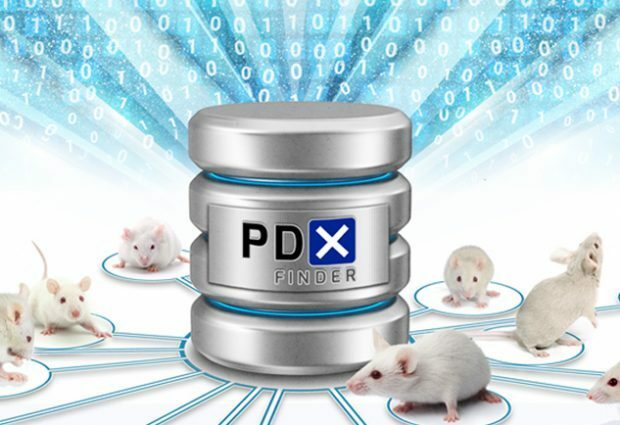 The launch of the PDX Finder comes just months after EMBL-EBI and The Jackson Laboratory published the PDX Minimal Information standard, which sets standards for basic information needed to describe essential properties of a PDX model. The standard was the result of a significant community effort that involved over 30 academic and commercial institutes globally. The standard ensures that every model in PDX Finder is carefully described to help researchers choose the most relevant ones.